Although he keeps a fairly consistent touring schedule, it is not that often we get recorded output from Canadian musical legend Bryan Adams. That is perhaps what makes Tracks Of My Years all the more curious. 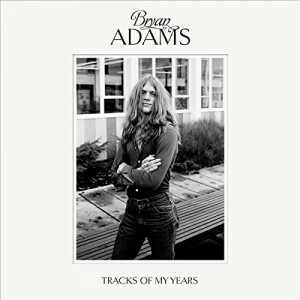 Rather than delivering an album of a dozen original songs, Adams pens only a couple of tracks but otherwise pays tribute to the music that influenced him. Covering songs from the likes of CCR (“Down On The Corner”), Bob Dylan (“Lay Lady Lay”), The Beatles (“Any Time At All”) and Chuck Barry (“Rock and Roll Music”), Adams’ versions remain largely faithful to the originals. Especially notable is his version of the Beach Boys “God Only Knows,” which he has stripped down to just vocals and piano.